When it comes to insurance, most people understand the basics: you need to protect your property and your vehicles, as well as obtain liability insurance “just in case”. Most also understand the need for health insurance if you get sick or life insurance if you die. But what happens if illness or injury affects your ability to provide for your family? Disability insurance should be there for those times when you’re unable to work due to illness or injury. However, most people don’t understand the need for disability insurance, the purpose of it, or how to get it. We hope to answer some of your questions here. 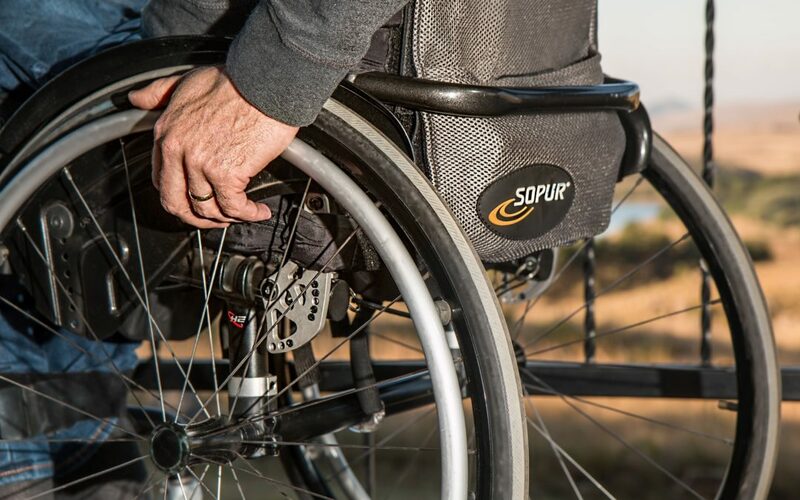 Disability insurance, also known as disability income insurance, is a policy that pays an injured person over a short or long-term period of time if that person is unable to work due to illness or injury. Payments can be used to pay bills, mortgage, and other expenses incurred during the time of injury or illness while the injured party is unable to work and receive income from his or her job. A 2008 study by the National Safety Council found that a disabling injury occurs in the US every 1 second. The majority of these disabling incidents are attributed to back injuries and illnesses such as cancer or heart disease. Disability is often overlooked because many people think that they would be covered by their employer’s workers compensation policy. However, coverage through workers compensation is only available to employees who contract an illness or are injured on-the-job. According to the same 2008 National Safety Council study, close to 90% of disabling injuries or illnesses are NOT work-related. Can You Get Disability Insurance Through Work? Many employers offer both short and long-term disability options as part of an employee’s benefits package. Often short-term disability comes at no cost to an employee. Short-term coverage through your employer is usually employer-funded and will pay a sick or injured employee for 3-6 months, just long enough to recover from certain illnesses or injuries and get back to work, or until long-term disability coverage kicks in. While employer-provided disability insurance can be helpful, there is one important thing to consider: if you are fired or leave your employer, you can’t take this coverage with you. While this coverage is usually part of your COBRA options at the end of your employment term, it will be provided at a significantly higher cost, and only during the option period. If this is offered, be sure to check the benefit length and waiting period to compare to other options. Benefit Amount: Because disability insurance benefits are not taxable income, the benefit will usually be about 65% of your salary. This is the typical amount of take-home income after taxes. You can choose a lesser amount, but not more. Benefit Length: This is the amount of time that the benefits from the disability policy will pay the sick or injured policyholder. You may choose from several amounts, anywhere from 2 years to lifetime, though lifetime coverage is not often available for purchase. Keep in mind that the National Safety Council’s study shows that the average long-term disability absence lasts 2.5 years. Waiting Period: A waiting period of either 3 or 6 months may be selected. Factors for making this decision should include any accrued sick leave and/or paid time off (PTO) as well as money in savings that can be applied toward living expenses during the waiting period before the disability insurance coverage kicks in. Most choose a 90-day waiting period. You may also choose other options for your personal disability policy, including the ability to be retroactively reimbursed for the waiting period once disability insurance coverage begins. Hayes Brokers has a number of disability insurance markets available. Call today to receive a disability insurance quote tailored to your needs.